A third border crossing between Tijuana and San Diego has been recently confirmed by representatives from the United States and Mexico. 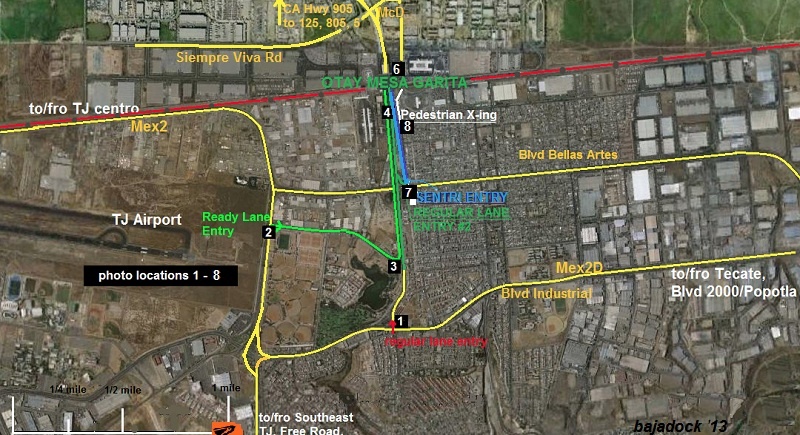 Dubbed Otay Mesa East or Mesa de Otay II, it is expected to be completed in two phases by 2017. Since the implementation of NAFTA, the region’s commercial activity has increased by 520%. The bulk of the region’s commercial growth is in Mesa de Otay, which is the busiest border crossing in Baja California, and is considered the third most vital commercial border crossing in all of Mexico. “The new border crossing between Tijuana and San Diego confirms a bi-national commitment to enhancing this regions economic potential. The area will continue to see robust growth with the improving economy. Preparing for this growth by investing in efficiency at the border is a win for the entire region,” commented Maquila Properties President, Jean-Paul de Kervor. Manufacturing, distribution or investing in commercial properties in Mexico makes up 70% of the border commerce between Mexico and the United States. This includes 10 border states and over 14 million people, making the border between the United States and Mexico the 4th largest economy in the world. Further infrastructure projects in Tijuana to facilitate efficiency for business include construction of a new toll road (SR11). This four lane highway will connect the new border crossing with the existing highway system. Phase one has already begun and includes a connection with US 905. 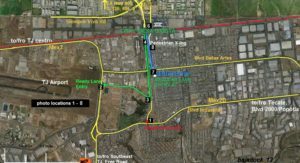 As well, construction of a new highway connecting US 5 to El Chaparral was confirmed, and will be completed in two phases by 2017. For more information on manufacturing, relocating or expanding your business to Mexico, contact Maquila Properties at 858.551.8000.